Toronto, Ontario--(Newsfile Corp. - October 11, 2018) - Aurania Resources Ltd. (TSXV: ARU) (OTCQB: AUIAF) (FSE: 20Q) ("Aurania" or the "Company") reports that ridge and spur soil sampling has identified extensive and coherent areas of elevated silver and other pathfinder elements at the Yawi target in its Lost Cities — Cutucu Project (the "Project") in Ecuador. These pathfinder elements are typical of the upper parts of epithermal gold-silver systems in the region. This data delineates two roughly parallel areas of metal enrichment each approximately 600 metres long and open along trend. Ridge and spur soil sampling has defined two distinct areas of metal enrichment that are roughly perpendicular to the slope of the topography (Figure 1). The two zones are up to 250 metres wide and are separated by a horizontal distance of approximately 500 metres, and 200 metres in elevation. The areas of metal concentration are open to the east and west, where additional soil sampling is required to determine the full extent of the area of enrichment. 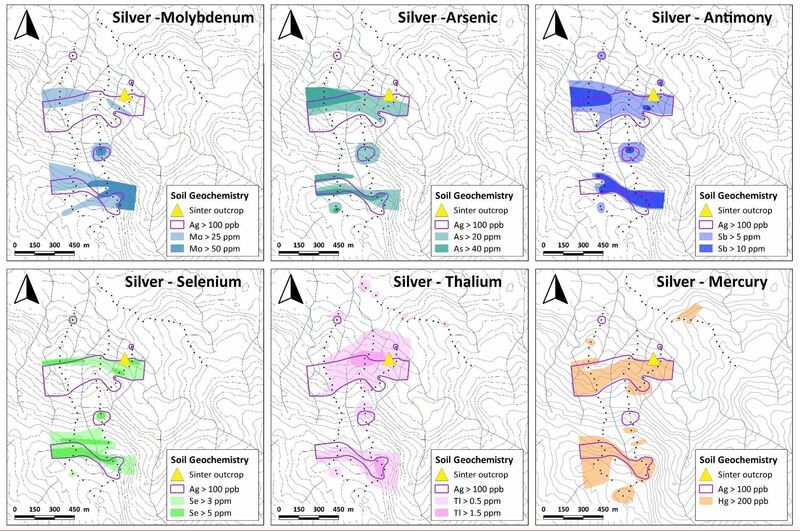 Silver, which has proven to be relatively immobile in soils in the Cutucu mountain range, is broadly coincident with naturally-occurring arsenic, antimony, selenium, thallium, mercury and molybdenum. The suite of pathfinder elements is consistent with the upper parts of a "low sulphidation" gold-silver epithermal target. Sinter, or silica platforms formed in geyser fields, are located at a similar altitude as the lower area of metal enrichment in soil at Yawi. This suggests that there was "telescoping" of the epithermal system — that the lower-elevation metal enrichment and associated sinter formed after the higher-elevation enrichment area had been partially eroded (Figure 3). 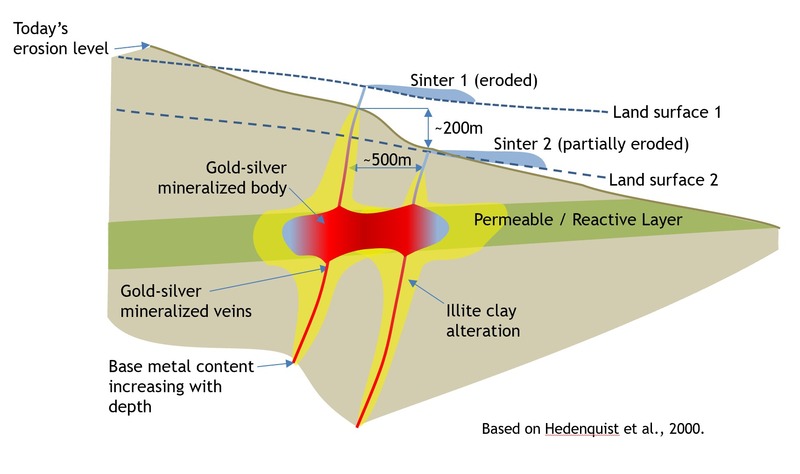 The implication of telescoping is that different mineralization levels may be superimposed — for instance, the volatile-rich upper part of the sinter-related zone may be overprinted on, or juxtaposed to, the precious-metal zone of the earlier and higher-level system. 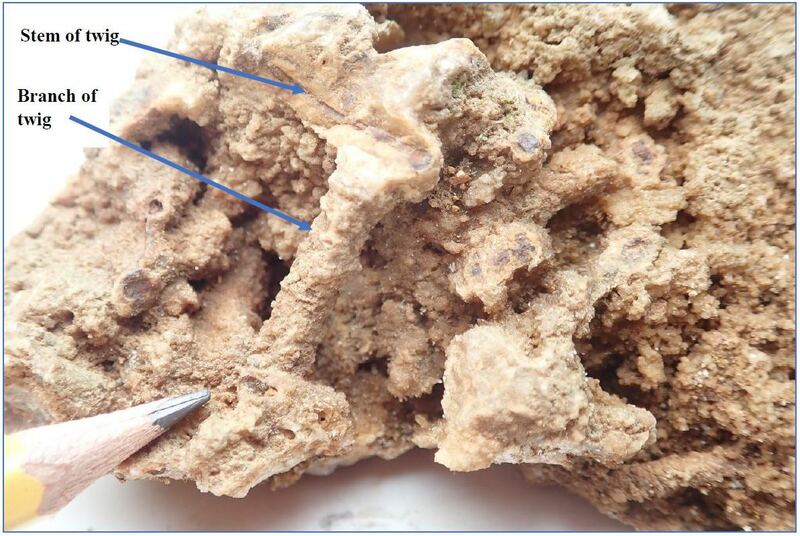 Approximately one kilogram of material was collected from the iron-rich "B" horizon of the soil profile at each sample point (black dots on Figure 1). The samples were sent in batches to ALS's preparation lab in Quito for drying and screening at 80 mesh (approximately 0.18 millimetre apertures). A split of 250 grams was taken at the preparation lab and shipped to Lima, Peru, for analysis by ICP-MS, and for gold by fire assay with an ICP-AES finish.